Well done to our U10’s and U9’s girls representing Walterstown in style at the McGlone tournament in Belfast today. There was a tremendous effort, skill, fitness, grit and sportsmanship shown by all the girls on a very hot day with an intensive schedule of matches. The U10s reaching the cup semi final in the cup. The U9’s winning 2 of their group matches to get to the Quarterfinals of the Shield and loosing out to progress in the Plate competition by a single point. 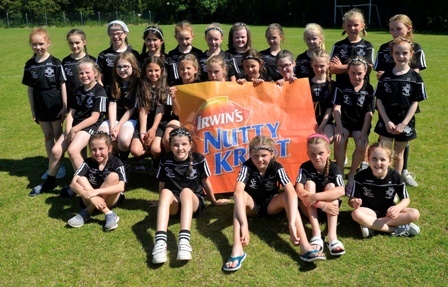 Wonderful potential for the future of Ladies Football in Walterstown.